What is the role of scientific discovery in Christian faith? Many today feel that the practice of modern science is not very friendly to belief in the Bible. Is there a way that Bible-believing Christians can make peace with the work of the modern scientist? Then the Lord God formed the man of dust from the ground and breathed into his nostrils the breath of life, and the man became a living creature (ESV). With interviews by leading and influential Biblical scholars, scientists and theologians from diverse perspectives, such as N.T. Wright, Alister McGrath, John Polkinghorne, John Walton, Jason Lisle, Terry Mortenson, and Pete Enns, From The Dust hopes to reinvigorate the Christian imagination on how we approach these issues. If you are cheap like me, you can simply review some of the film clips at the movie’s website or view them at the BioLogos website to get an idea of what it is like. If you really like it, you can order the film through BioLogos, or download on iTunes. Stretch your mind and enjoy! Coming Next Weekend!! Veracity Takes It Out of CyberSpace and Into Live and Personal Discussion!! Want to explore more about these issues in conversation with others? Then please join us at the Facts & Faith Symposium, at the Williamsburg Community Chapel, several Sundays in November, 2013 (the 10th, 17th and 24th) at 6:30 pm. Killing Jesus: I Guess It All Evens Out? First, there was Reza Aslan’s Jesus the Zealot. Now, there is Bill O’Reilly’s Killing Jesus. Both books have their merits, but I would suggest sticking with books written by less politicized New Testament biblical scholars….and if you do not have time for that… just stick with the Bible, please. Several months ago, I reported on Veracity about Reza Aslan’s controversial yet popular book, Jesus the Zealot. Several waves of biblical scholars mostly panned the book, citing that despite a few thoughtful ideas here and there and some very engaging storytelling, Aslan fails to contribute anything substantially new to the discussion regarding our understanding of the historical Jesus. 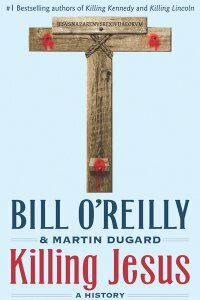 Now, just a few months later, conservative news commentator Bill O’Reilly has made his stab at writing a biography of Jesus of Nazareth, Killing Jesus. Wow. Such hubris. Despite the thousands and thousands of pages already printed investigating the historical identity of Jesus of Nazareth, O’Reilly is telling us that only now will he begin to tell us the full story. Just think about this for a moment. Here are two books by Aslan and O’Reilly that have rocketed to the top of the New York Times best seller lists. The folks at the apologetics website Stand to Reason appear to be some of the few Christians who generously find O’Reilly to be somewhat helpful, but even they stop short of a full endorsement. Furthermore, even Ken Ham at Answers in Genesis finds something to disapprove of regarding Killing Jesus. In some cases, O’Reilly takes the New Testament accounts at face value for being historical. At other times, he dismisses key aspects of the Gospels as historically valid. In the reviews I have seen, it does not seem at all clear what O’Reilly’s method is for making his historical judgments. I wonder why you do not see books by top-notch evangelical New Testament scholars like N.T. Wright, Craig Blomberg, Ben Witherington, Craig Evans, Gregory Boyd, Mike Licona, Gary Habermas, D. A. Carson, Gregory Beale or Darrell Bock at the top of the New York Times Best Seller lists? On the positive side, both Aslan and O’Reilly show that people are still fascinated with the person of Jesus Christ, which provides a very natural opportunity for the believer to start up spiritual conversations with their neighbor. However, it is difficult to restrain myself from thinking that politics might be part of the reason for Aslan’s and O’Reilly’s success with their books. I do not mean to step on anyone’s toes, but it would concern me if the story of Jesus is getting manipulated here to support some different agendas. I suppose that if Reza Aslan writes something that appeals to so-called “liberals” that O’Reilly feels compelled to write something appealing to so-called “conservatives”. I guess it all evens out perhaps? Just a Few Weeks Away!! Come join the Veracity community at the Facts & Faith Symposium, to be held at the Williamsburg Community Chapel, on several Sundays in November, 2013 (the 10th, 17th and 24th) at 6:30pm. 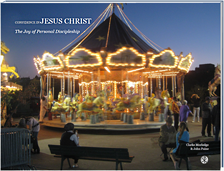 Our summary and review of the Life After Death issue of the Areopagus Journal (Fall 2011) concludes with the paranormal. If this topic makes you uncomfortable, welcome to the club—that’s probably true for the vast majority of rational beings like you and me. But like it or not, some people do claim to experience things that are beyond the range of our normal experience or scientific explanation. Should we believe them? Are there good apologetic arguments to support Life After Death that make sense based upon paranormal claims? The Life After Death issue of the Areopagus Journal addressed two paranormal topics: near death experiences (NDEs) and ghosts. Rather than redact the articles by Dr. Gary Habermas and Dr. Ron Rhodes—as I did in Part 1 and Part 2 of this series—I will link in external material and do more of a paraphrased summary of the points they make (for details get the Areopagus Journal). Dr. Habermas touched on this topic earlier this month at the 2013 National Conference on Christian Apologetics. Two things strike me about his approach to apologetics. First, he makes minimalist arguments—reducing a debate to the minimum number of elements that he needs to make his point, without overreaching. Secondly, he is very conservative in drawing conclusions—which is a hallmark of credibility. Here is a quick synopsis of his views on NDEs, from the One Minute Apologist. After hearing him relate specific cases he has researched, I was enthusiastically thinking those cases would make self-evident apologetic arguments. After all, a few of them are amazing, and very reliably documented. But as my co-blogger is quick to point out, we should consider both the affirmative and negative sides of the debate to develop an informed opinion. I normally do not blog on timely topics, but this one is too important to pass up. Last week, Southern California pastor John MacArthur led the Strange Fire conference. MacArthur’s passion in hosting this conference was to call the evangelical church to publicly refute what he sees is the error of the Charismatic Movement. There are a few things to say about this. First, John MacArthur is very influential in the church and he is not alone in his views. MacArthur’s radio ministry, Grace to You, is heard by thousands and thousands of Christians across the world on a daily basis. MacArthur, who stands in a rather curious mix of Reformed and Dispensationalist theology, is a master communicator known for his effectiveness in the skill of expository teaching from the Bible. MacArthur is also a cessationist, which means that he believes that the supernatural manifestations of the Holy Spirit, such as speaking in tongues, ceased to be active in the church at the end of the Apostolic age, the first generation of the early church. Secondly, the Charismatic Movement that MacArthur is protesting against is perhaps one of the fastest, if not THE fastest, growing movements in the church worldwide. While the growth of Pentecostal and Charismatic churches is modest in the United States, it is a completely different story in places like South America and Asia. Literally millions of people are being exposed to different expressions of the Charismatic Movement. I know from personal experience how significant this is as I helped to lead the music ministry at a small Charismatic church for a brief period back in my college years. Thirdly, positively speaking, many, many Christians have been extremely blessed by what they have experienced in Charismatic churches and grown spiritually by their teachings. On the other side, tragically as with other movements, there has also been a large number of other Christians who have experienced spiritual abuse, theological confusion and tremendous disappointment in Charismatic communities of faith. Needless to say, not everyone is happy with John MacArthur’s blanket characterization of the movement as a whole (see Adrian Warnock here and here with Loren Sandford for CharismaNews). There is a good chance that people in conservative churches will be having “spirited” conversations about John MacArthur’s conference (and the new book associated with it) for some months to come. Despite the controversy, MacArthur is raising critically important issues for the church. Down the road, Veracity will tackle the phenomena of the charismata in future posts, but hopefully it will be done in a more irenic and less polarizing manner than what MacArthur has done with Strange Fire. Please join the Veracity community at the Facts & Faith Symposium, to be held at the Williamsburg Community Chapel, on several Sundays in November, 2013 (the 10th, 17th and 24th) at 6:30pm. If you want suggestions about how to keep your devotional life fresh, try apologetics. Specifically, try attending an apologetics conference. I just returned from the 2013 National Conference on Christian Apologetics in Charlotte, North Carolina, and thoroughly enjoyed thinking and dialoguing at high levels of reasoning for two days. As an active blogger, I really don’t have issues with my spiritual life becoming stale, but I have to admit it was a truly uplifting experience. Dr. Norman Geisler and Dr. Ken Petzinger (a physicist). Our rocket scientist friend did not wish to contribute to my wife’s embarrassment by posing with us. I was travelling with some wonderful people, including a rocket scientist (no kidding), a physicist, a lawyer, and a librarian (who is also an interpretive dancer). We had some conversations; wish you could have been there with us. Did Abraham Receive the Call to Go to Canaan While in Haran, or in Ur? Should a Christian Have a Dream Catcher in Their Car?